MALAGA’S Hollywood ambassador Antonio Banderas has taken his life in his hands for his job. 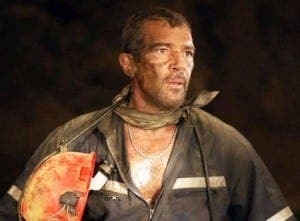 Filmstar Banderas, 55, and his fellow actors portraying Chilean miners in the recently released film,The 33, battled toxic fumes including carbon monoxide while filming on location. Much of the film was shot in Colombian mines where the cast suffered methane overdose, leaving ‘a metallic taste in our mouths for days’. The motel where they stayed also had no hot water. “It was like a horror movie but it brought an incredible realism to the story that we were tired, cold and dirty beyond belief,” said Banderas.